Samantha Jane: Closet Spice Gift Card Giveaway! Canada Only! Closet Spice Gift Card Giveaway! Canada Only! Closet Spice is a "modern concept online store providing clothes hangers and accessories for your closet!" 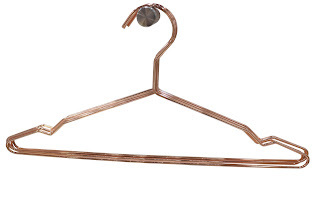 Basically, THEY HAVE ROSE GOLD HANGERS! The store will launch in May. You'll see them in an upcoming apartment decor video on my channel! You know how much I love rose gold! Win a $30 gift card for Closet Spice, enter below! Canada only!